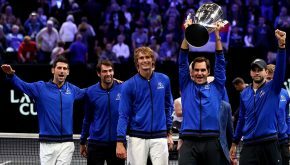 Kevin Anderson helped keep Team World in Laver Cup contention beating Team Europe's Novak Djokovic 7-6 (5), 5-7, 10-6. The South African got a big 2 points with the win. Team Europe is still in lead, 7-5. 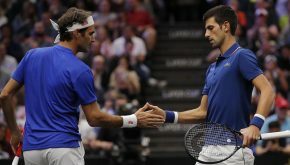 Two great champions Novak Djokovic and Roger Federer closed out the first day of the second edition of the Laver Cup. Europe leads Team World 3-1 after Day 1. Novak will begin title defence in Indian Wells against either Kyle Edmund (GBR, ATP #46) or Gastao Elias (POR, ATP #95) in round two. 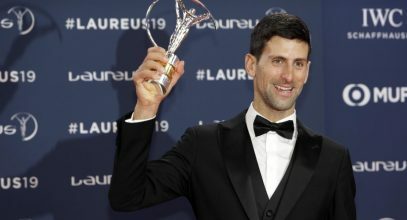 Novak has withdrawn from the Western & Southern Open due to recurring injury. His next event will be the US Open. Nole starts his Cincinnati Masters campaign in the second round against world no.31 Gilles Simon. 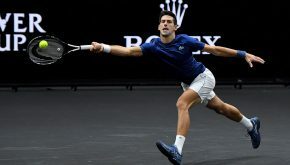 Nole propels Serbia into semis after heroic effort! 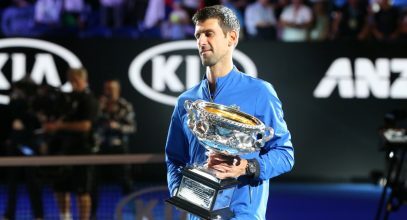 Novak was the hero on Sunday as he beat Sam Querrey 7-5, 6-7 (4), 6-1, 6-0 to give Serbia insurmountable 3-1 lead over USA. Zimonjic-Bozoljac edge Bryans to put Serbia ahead! 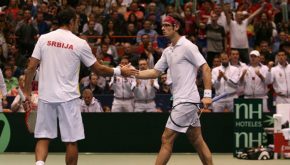 Serbia need one win on Sunday to reach the Davis Cup by BNP Paribas semi-finals for the third time in four years.